Then again I must admit that this past weekend I spent €4 on those. And why? At the World Money Fair they had a booth with four "printing" machines - actually dispensers only. Plus, Richard Faille was there. I took a photo of him, and got two autographs. I briefly told him that I like the concept, and the quality of the "notes", but that in my opinion it is getting too much. Well, he has a point when he said that, like coin collectors, the people who are after these should focus on a geographical area, or a theme, instead of trying to have 'em all. Still, issuing so many could be counterproductive. [RANT] No museum would even dream of a "complete" Rembrandt collection. No collector of porcelain would strive for anything "complete". Can you even imagine a "complete" collection of furniture? How interesting is a complete collection of all the photos you took in your life? What is the added value of "complete"? Is it about having fun, collecting what you like, entertaining visitors and educating yourself? Or is it about the √s in a catalogue that was incomplete before it was printed in spite of the included little bit of paper with errata? What bugs some or several (don't know) "zero euro note" collectors is that these days such issues are made for all kinds of places. There is one about the Military Aviation Museum in Virginia Beach (USA), several with Chinese designs (from Mao Zedong to a panda) ... or this one "from" Gori, Georgia. green 0 euro notes have been made by the dutch company euroscope. I may be over-sensitive, but I sense a significant difference between the Faille notes and the Euroscope notes. They Faille notes are to the Euroscope notes what not-for-payment tokens are to advertising tokens. Or maybe it's hard to judge them on just one picture and they are more "whatever people will buy" on other notes? 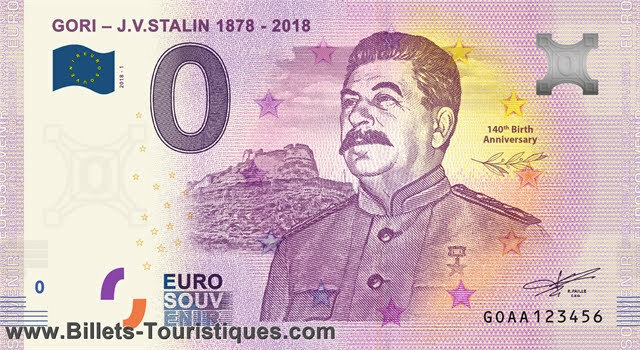 you can get these notes in vending machines for 2 euro. pairi daiza also has/had more than 40 different memodaille coins in their vending machines. A new series of €0 banknotes will soon be issued commemorating memorable events in Mahatma Gandhi's life. 12 different banknotes will be printed.